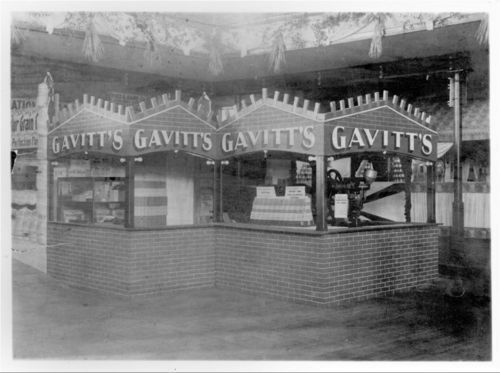 This photograph shows a display for Gavitt's Drug Manufacturing Company in Topeka, Kansas. Signs in the display advertise, "Over 100 Standard and Proprietary Remedies," and a "Modern Medical Tablet Machine." William Gavitt ran a large mail-order medicine company. Holding Institution: Transferred from Museum, 1967.